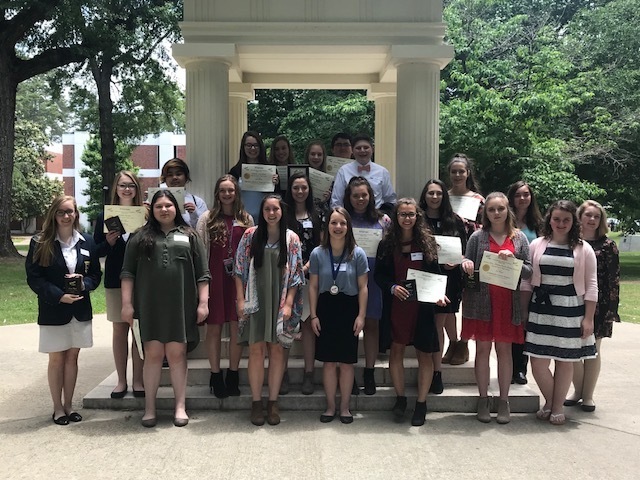 Congratulations to the following District IV FBLA Middle Level Winners from SJHS! 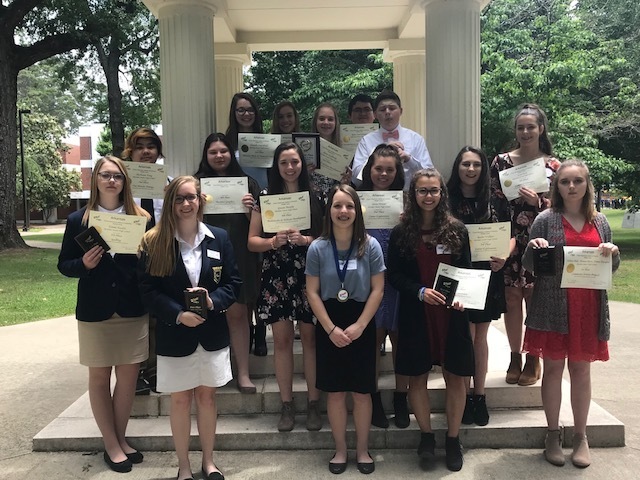 Congratulations to the following District IV FBLA Middle Level Winners! Eighteen schools participated with three contestants per event. Zoe Mayberry is the newly elected Treasurer for District IV FBLA-ML 2018-19. Front Row (L-R): Emma Hardin, Sidney Hale (Current District IV President), Zoe Mayberry (Newly elected District IV Treasurer), Jameson Archer, Aubriana Burns. Second Row (L-R): Nate Nantharangsy, Caroline Dawson, Gracen Murphy, Sierra Nevens, Raylee Wallace, Lexie Peck. Last Row (L-R) Danielle Crutchfield, Anna Cook, Alexis Szeflinski, Ryan Nanthalangsy, and Hunter Campbell. Not Pictured: Shoshiana Vang.